The Sony Xperia AX is an Android 4.0 device with a 4.3-inch screen and a 1.5Ghz processor. One of the first dual NFC/Osaifu Keitai phones, the Xperia AX offers SIM-based secure NFC as well as carrying the Sony Felica chip that powers the Japanese contactless payment system. The phone can be used by NTT Docomo customers to pay with the network’s iD mobile credit system in Japan and MasterCard PayPass in 41 other countries. 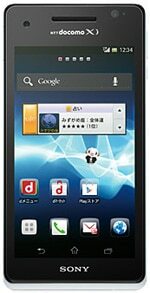 The Sony Experia AX SO-01E will be available from NTT Docomo in Japan from November/December 2012.